So… if you’re in the Southern California area April 3-5th, come on down to Wondercon and see me in person. I’ll have stacks of Bohemian Nights introduction books available, as well as mugs, flasks and original sketches for sale. Not to mention a crap load of Drinker’s Hell games!!! (I use to live down there… I know how much you guys love to drink!) 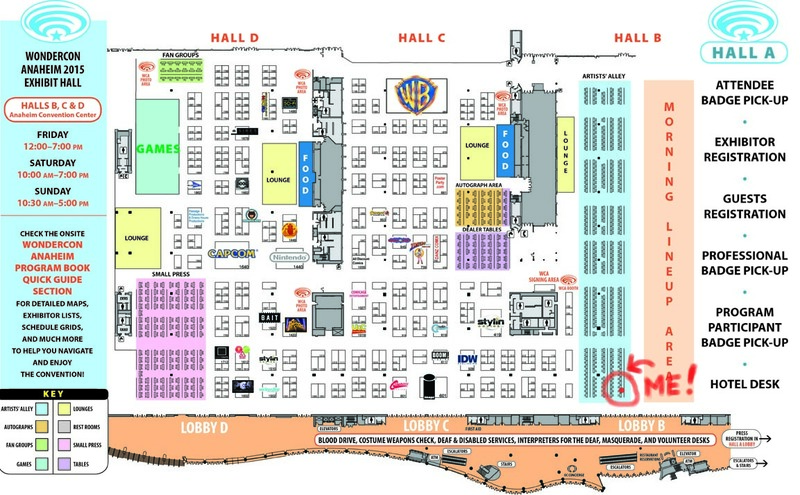 I’ll be at Table E2 in the Artist Alley section when you first walk in (although I’m way off to the side, so don’t miss me) Here’s a map of the huge layout! (I’m the table circled in red) I’d love to see you.